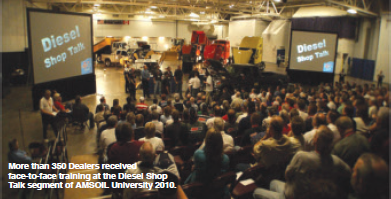 the Diesel Shop Talk segment of AMSOIL University 2010. Below is the Dealer Sales Department Blog posting for this week. We are sending this to you as we realize that not everyone who has email is also actively reading the blog and because this is such an important topic. Your help in encouraging the registration of your personal group members is needed and very much appreciated. Be sure to forward this email on to all of your Personal Group members. Looking forward to seeing you soon at a Fall Sales Meeting. We are now less than 2 weeks from the start of the 2010 Fall Sales Meetings. With summer in our rear view mirror and fall at the next intersection, the AMSOIL Dealer Sales Department is chomping at the bit to get out in the field and see Dealers face to face. This year’s meetings have already started a buzz in the Dealer network that is well worth the hype. As a regular Blog subscriber you should already be aware of the benefits of attending one, or more, of the meetings. Since the benefits are so great, let’s review them again so you understand the impact these meetings can have on your business. The first benefit is of course the timely training and information we will share on what is happening in the lubrication industry. ILSAC GF-5 and the GM dexos specifications top the latest on what is happening in the marketplace. 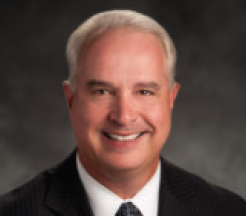 We will show you how this may affect your business and what AMSOIL has in store to address these important developments. These specification changes are sure to be on your customer’s minds, and we will provide you with the information you need to professionally address their questions and concerns. Pre-registration will assure attending Dealers receive benefits they will “walk away with.” We will provide pre-registered Dealers a DVD containing great sales testimonials and video sales tools. This DVD will be perfect to demonstrate to your customers and prospects the benefits of using AMSOIL products. And how does a 10% rebate on an order of AMSOIL products sound? The pre-registered Dealer is eligible to place one order the week of the meeting that will qualify for the rebate. The only way to receive this 10% product rebate is to be pre-registered! Orders may be picked up at an AMSOIL Distribution Center or may be shipped to the Dealer. Local distribution centers will have special Saturday hours for product pickup from 8 AM to 12 PM and 4 PM to 6 PM the date of the meeting. If you intend to pick up an order on the Saturday of the meeting, please place your order by 3 PM that Friday. Wow! There you have it! So many benefits that can only come from attending a meeting. If you haven’t already pre-registered, do it NOW. If you have already, make sure to encourage your Personal Group to pre-register and attend. Pre-register by calling 1-800-777-7094, or via the form in the Dealer Zone under the Training tab. And don't forget to bring along an AMSOIL business card to be eligible for valuable prize drawings! All AMSOIL Dealers attending a Fall Sales Meeting are eligible to receive a 10% rebate on one complete product order placed during the week of the meeting. As ALTRUM products are Superior only items, all ALTRUM orders will be shipped to the Dealer from Superior.